Looking After Your Fly Fishing Tackle: It’s that time of year again when actual fishing (rather than thinking or reading about fishing or tying flies for the sake of it) starts to happen. With the new season at hand it’s a good time to give a bit of a spring clean to your fishing gear and especially your fly reel. On the other hand if you did the job of checking, cleaning and preparing your rods and reels before winter set in then you’re ready to start fishing right away without any concern that something might fail at the wrong time. Make sure your fly rod is in good condition and that the guides don’t have undue wear on them because this will impact upon your casting as well as affecting the fly line. Loose reel seats on the rod can also show themselves to a problem just at the wrong time so make sure these overlooked bits are checked out. A good way to clean the cork handle is to use a small stiff brush (e.g. a toothbrush) dipped in soapy water. You can fill any undesirable holes in the cork using a suitable epoxy material… Once you have finished and the cork handle is dry, sand the fillings down lightly. 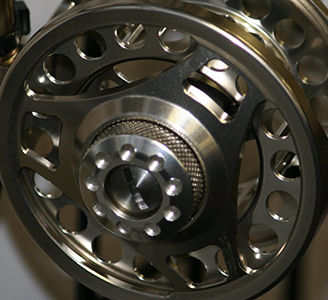 Your reel should be stripped, checked for loose handles and any other screws that might be present and any sand or grit blown out of the drum cavity. The spindle of the reel will benefit from a very light oiling and any gears in the reel should be lightly greased. You should service your fly reel regularly, no matter how much care for it. It almost goes without saying that you should attach a new leader to the fly line and maybe it’s time to consider using fluorocarbon instead of nylon… Invisible under water and sinks better than nylon. One disadvantage is that discarded fluorocarbon takes forever to break down in the environment. A good idea is to burn it. Take your fly line off the reel and if your line has a double taper consider turning it around. In any case, one should use mild warm soapy water to clean it then rinse and dry the fly line. 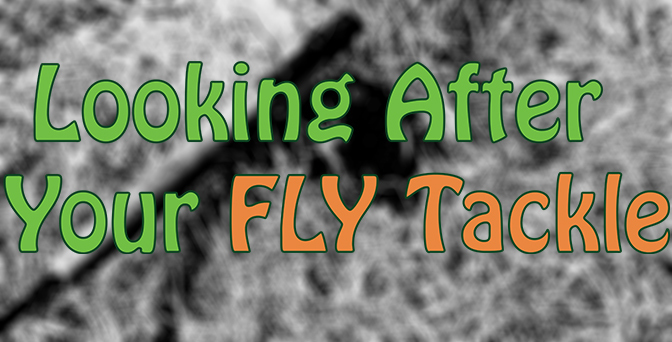 As far as flies go take all your dry flies and saturate them in an appropriate floatant, and let them dry thoroughly before use.